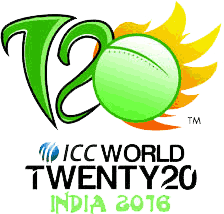 Bangladesh is a test playing nation which will play the ICC T20 world cup 2016. Currently, Bangladesh is at the 9th position in the ICC T20 rankings due to which the team could only qualify for the 1st round of the T20 world cup 2016. It means Bangladesh has to take the 1st or 2nd position in the 1st round to qualify for round 2 where the 10 best teams of T20 cricket will play. Bangladesh has participated in all the previous T20 world cups from 2007 to 2014 while its best performance was in the 1st T20 world cup of 2007 when it achieved 8th position. So far, Bangladesh has played 18 matches in all the T20 world cup tournaments out of which the team won 3 matches and lost 15 matches and its winning percentage is 16.66%. Important players of Bangladesh T20 team are Mushfiqur Rahim, Mashrafe Murtaza, Mahmudullah, Shakib al Hasan, Tamim Iqbal, Shamsur Rahman, Anamul Haque, Nasir Hossain, Soumya Sarkar, Sabbir Rahman, Rubel Hossain, Shiful Islam, Taskin Ahmed, Mustafizur Rahman, Abdur Razzak and Arafat Sunny. Now Bangladesh team has improved a lot and these players can perform very well in the upcoming ICC T20 word cup 2016.